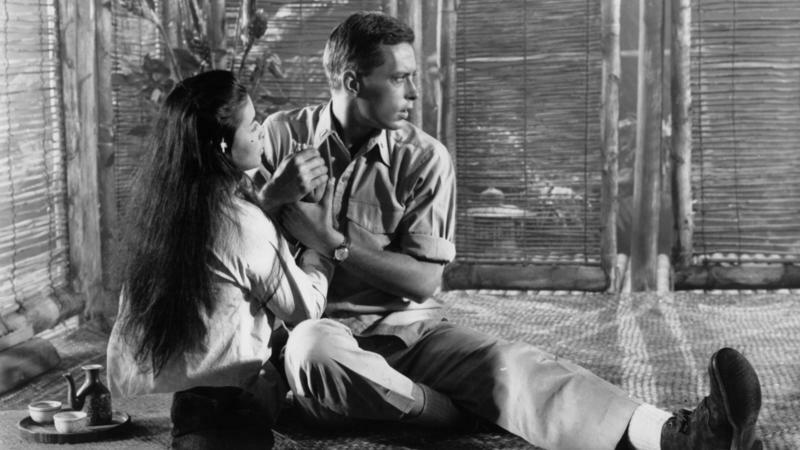 South Pacific is a story about the American military occupation of a pacific island during WWII. It is a love story and a story about prejudice. But must of all it is an enduring musical. The show produced by Music Theatre Wichita opens on Wednesday, June 11 at Century II. KMUW’s Aileen LeBlanc attended a rehearsal . . .
Click on the arrow above to hear the radio piece. South Pacific runs Wednesday, June 11 to Sunday, June 15. For more information visit www.mtwichita.org. In 1949, post-war audiences saw a musical that was breathtaking in its scope. Soon after, the show’s songs burst onto the hit parade.